Jypyä Pop (Turku, Finland) on 17 November 2014 in Cityscape & Urban and Portfolio. 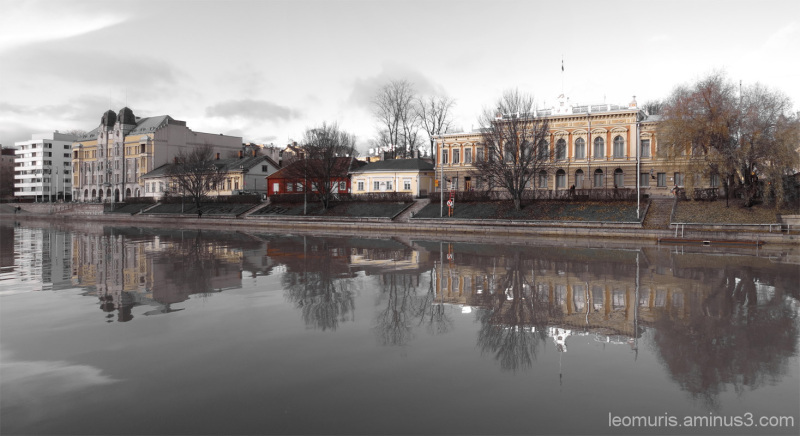 The first to the right of the house is the Turku City Hall. There, the city council will meet once a month. Red wooden house is Qwensel house, which, today, is the Pharmacy Museum. It is the oldest wooden house in Turku and was built around the year 1700. Such a wonderful stillness to this set . .
Beautiful mirror effect the reflections are superb, always with this beautiful autumn light. Gorgeous! Wonderful light and reflections. I like the peaceful and muted tones. Nice shot. love the reflections and - again - the attractive tonality ! The red house really sticks out. :) Beautiful reflections and lovely photo. Very beautiful ! Superb composition and tones .